changed my life, as well as the lives of many, many others. 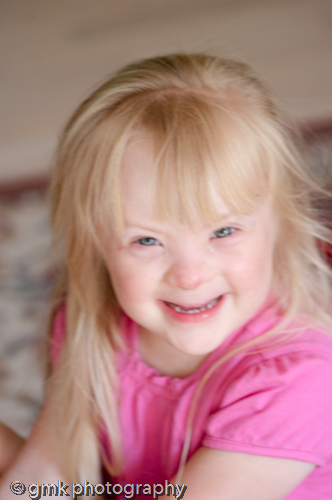 Five years ago, my youngest niece was born with Down’s Syndrome. She was a tiny, fragile thing who looked as though she would break with the slightest touch. Her fragility, however, was short lived. Before we knew what hit us, Gracie was not only growing and thriving, but had managed to wrap everyone who met her around her sweet little finger. The first time she smiled at me, tears filled my eyes. The first time she called me Nini, I cried. The first time she put those precious little arms around my neck and lay her head on my shoulder, I lost it completely. 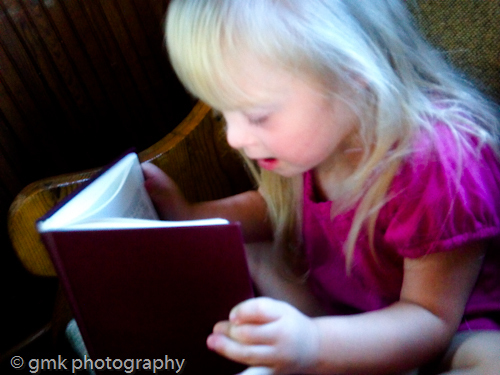 The fact that Gracie has Down’s Syndrome is irrelevant to everyone who meets her. Her charismatic personality and over-the-top laughter make it impossible to see anything but the beautiful spirit she exudes. She laughs. She loves. She thrives. She plays. She cries. She gets mad. She is everything she’s supposed to be, but because of that little, bitty, extra chromosome, she is so much more. Just by being herself, she is an encourager. It is simply not possible to be in Gracie’s presence and not feel a sense of love and acceptance. It was evident from the start that she was one of God’s special gifts. She is blessed in a way that makes her appear larger than life. Her very being commands attention without ever saying a word and people migrate to her, surround her, find solace in her. She is, without doubt or reservation, a formidable weapon against everything negative. She possesses an innate ability to turn lives around with her genuineness. She is guileless in everything she does, having no agenda or premeditation. Her sense of self is unrivaled and her confidence unwavering; that, in itself, is a testament to the strength and beauty that is part of what makes her who she is. There are many things I would change in my life were I given the chance to do so. Gracie is not one of them. March 21 is Down’s Syndrome Awareness Day and the purpose of this post is as much to help raise awareness as it is to sing the song of Gracie. I am more than I was before she came into my life, but not nearly as much as I will be in another five years. My life changed, for the better, the day she was born and I will never be the same. This entry was posted in a photographer's heart, believer, blessings, blog, courage, cry, Down's Syndrome, Down's Syndrome, Photography, emotions, Encouragement, from my heart, God, Gracie, Life, love, photographer, Photography, strength, Time, words and tagged beautiful, beauty, blog, courage, Down's Syndrome, emotions, encouragement, gina minton kearns, gina minton kearns blog, Gina Minton Kearns Photography, God, life, love, photographer, photography, strength, words. Bookmark the permalink.